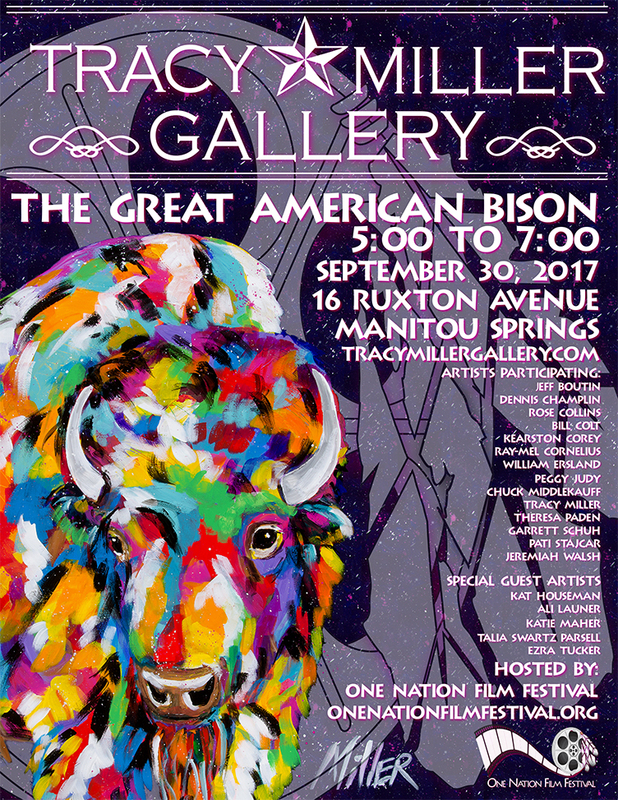 You may have heard that on September 30, 2017, the Tracy Miller Gallery will be putting on an art show – The Great American Bison. 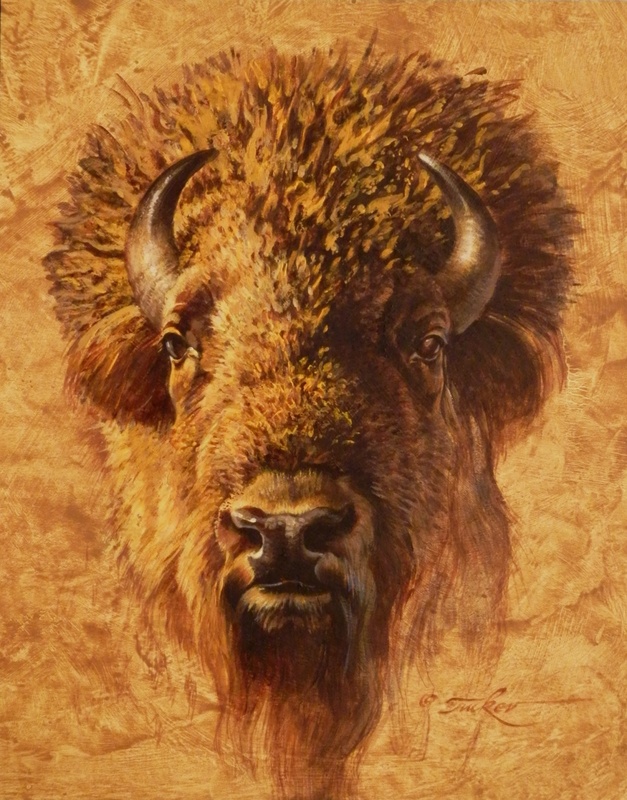 The show will focus on the art of the New West, and the artists who are participating will be putting a special focus on the bison. One Nation Film Festival is hosting the show – and I’m thrilled! This show is near and dear to my heart – primarily because of my deep love for the bison. To me, they represent everything that is the New American West. They’re majestic and graceful – and in nature they’re honestly a site to behold. But it’s much more than that. Over the course of Western American history, the bison has been a key player. They were hunted by Native Americans and settlers alike, and they often were the reason that communities formed and settled. They provided food, but they also provided clothing. They provided a sense of security, which contributed to the settling of the west – and the evolution of it to be an area that we know and love today. Growing up, I always admired the bison. They’ve played a large role in my personal work. I’m drawn to animals who exist so well in their natural surroundings, and exhibit a life and a personality all their own. The bison is amazing to me because they’re so strong. Size-wise, they’re huge. They’re stocky, made of muscle. Yet they manage to exude this sense of kindness, grace, and peace. To me, they represent freedom and strength – and that ties so well to the nature of the American West that I’m drawn to. Having an entire show dedicated to this magnificent animal means a lot to me. I think it’s important that we show them respect and reverence through our tribute. More than that, though, I’m always excited to see how other artists perceive and represent the bison. We all connect with nature in such different ways, and I love to see the energy of those connections in everyone’s individual work. 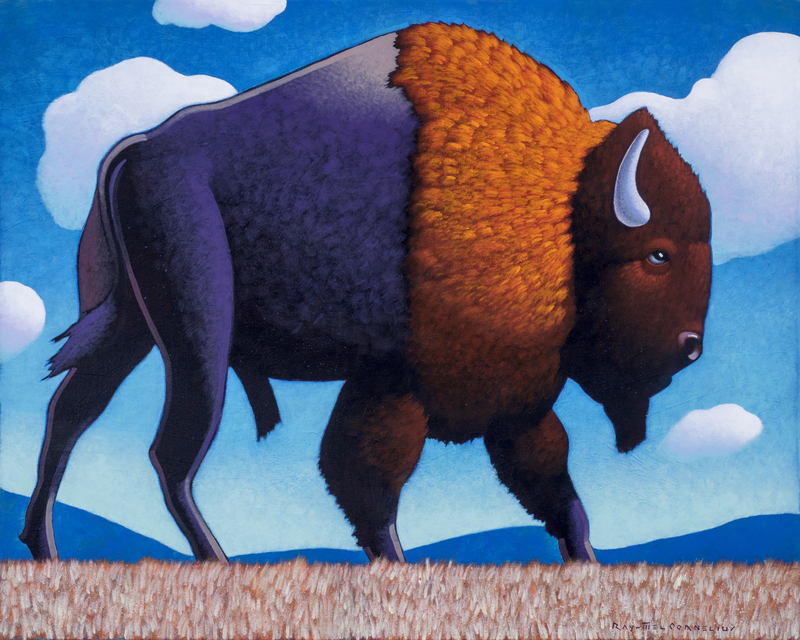 Appreciating that we all approach the same figure – the great American bison – in different, unique ways says just as much about the great American bison as it does about us as artists. This show is going to be amazing, and I hope to see you all there!